Looking for a great baby travel system? Look no further than this list. This list reviews the best travel systems of the year, their quality, how safe they are, and talks about all the important features that they have and do not have. When you finish reading this list in the next couple of minutes, you will know for sure the travel system that best suits your specific needs and circumstances. I recall when I was pregnant with my first baby and went shopping for baby gear. I bought plenty of stuff including a $700 baby travel system. I was naïve back then because I assumed that the high price automatically meant that it was a better quality travel system. Needless to say but I was wrong as less than a month later the system’s stroller broke down and could not be repaired. Luckily, the travel system had a warranty. However, it was after plenty of pleading and emails exchanges between me and the manufacturer’s staff that I was finally refunded part of the money I paid for it. I learned my lesson the hard way. As expected, the next time I went shopping for a baby travel system I did one hell of a research job to find the best one. This was about two years ago and it helped me to create my initial list of the best travel systems and to find a top quality travel system that continues to help me to date. I recently repeated the research process to create this list for you guys. My goal is to help new mothers to avoid the same problems I ran into when I bought my first travel system. I guarantee you that you will find the best strollers on this list, so please worry no more! Without further ado, here are the best baby travel systems for this year! I made sure that my list included both renowned models and highly rated new models. Below are the best travel systems based on user experience. My review in summary: Very easy to navigate in tight spaces and can be used to carry the baby from birth to preschool. This is a fantastic stroller/ travel system combo that is certainly a bargain at its current price! The combo includes the legendary Britax B-free baby carriage and the complementary B-safe newborn car seat. There is nothing not to love about both components of this travel system. The newborn car seat comes with a base that makes it easy to secure on the stroller. It can be secured in the car, with or without the base. When securing it without the base, you will only need to use a seatbelt to lock it in place. The base of the car seat is as safe as an infant car seat can get. It is designed to absorb maximum energy in case of an accident. This means that your baby is more secure in this infant car seat, in case of a car crash than in any other infant car seat. The headrest on the Britax B-safe car seat is padded with a special foam. This is for the purpose of fully supporting your baby’s head and neck. The design of the headrest is such that it can be adjusted to accommodate your son or daughter better as he or she grows older. When checking out this stroller, I was impressed by the fact that it has a secure and adjustable safety harness. This is because there is nothing more important than the baby’s safety, especially when using a travel system. This B-safe car seat can be used from the very first day until the baby reaches 32 inches in height or 35 pounds in weight (whichever comes first). The car seat weighs 11.5 pounds. This is heavy. In fact, it is heavier than other popular models such as the Evenflo LiteMax infant car seat and the Nuna Lite LX infant car seat. So if you are looking for a light infant car seat, this is not it. The stroller component of this travel system features receivers that make it easy to fix the B-safe infant car seat. Without the receivers, it would be very difficult to safely fix the infant car seat. So you have to have them in place to use the infant car seat. The good news is that they are small and can be carried in a diaper bag or in the storage bag underneath the stroller for use whenever necessary. In my opinion, this Britax stroller is one of the best in its class. It is well-built, stylish, and has a three-wheel design that is easy to push and steer even with one hand. The three-wheel design is the reason why this stroller is known as B-free, in contrast to other Britax stroller models such as the B-Lively and B-Agile that have a dual front wheel, which is more about enhancing stability than improving maneuverability. The single front wheel system on this stroller ensures that it does not easily get stuck and that stones and other debris do not get in-between dual front wheels and stop the stroller. The wheels on the B-free stroller are not pneumatic. However, they are thick and threaded and hence provide good traction. This is a three-wheel travel system. It is nimble but not as stable as four-wheel travel systems. Moreover, it does not move as smoothly as travel systems with inflatable tires. Lastly, it is not constructed as a jogger. So if you are looking for a jogger, you should definitely consider other travel systems and not this one. The stroller comes with a giant storage bag and seven extra storage spaces. There is enough room to store everything you will need even for an overnight trip. The travel system has a brilliant infant car seat that is cozy, safe, and crash-resistant. Not many other infant car seats can compare to it. The stroller has a high weight limit (65 pounds). This means you can use it to carry your baby for a very long time before he or she finally outgrows it. My review in summary: This is a premium travel system with superior quality features and functions. If I had money to blow, I would definitely get myself this high-end travel system and the MESA baby car seat! This travel system is the most stylish one on this list. It is also, unfortunately, the most expensive one but in my opinion, it is worth every cent in its price tag. Read on to find out why I say this. First off, it is a highly functional and versatile travel system. There is nothing quite like it on the market. Secondly, it comes with amazing rubber tires. Although not inflatable, the tires are foam-filled making the ride pretty comfortable for the baby. Thirdly, this stroller is great for riding on all kinds of terrain because of its brilliant and fully functional suspension system. So with it, you can go to all places without worrying about uneven terrain or your baby getting uncomfortable as its suspension system is a brilliant shock absorber. This UPPAbaby VISTA travel system has a very decent premium quality seat. The seat can be reclined one-handedly and has an adjustable strap to strap in and secure your baby. The padding on the seat is generous making it comfortable for babies to sit on even for long periods of time. This travel system also features a giant canopy with an extendable visor that UPF 50+ rated. This means it provides full protection against visible sun rays and invisible UV rays. The VISTA travel system is well-balanced and can be pushed and maneuvered with one hand. Tall parents, average height parents, and even short parents will find it convenient to operate courtesy of its height-adjustable ergonomic handlebar. One of the things I love the most about this premium stroller is its giant storage bag. The bag is spacious and at the same time has a large storage capacity of thirty pounds. Its size and storage capacity are the biggest on the market. The can carry all the stuff you need in it. You can also use it to carry multiple shopping bags. Now that you know all about the stroller part of this travel system, here is some info about its infant car seat. The car seat is the MESA model. It is easy to install and even has an indicator to show you whether you have done it correctly. This easy-to-install car seat is the reason why this travel system is regarded as one of the most user-friendly travel systems. The MESA seat is specially designed to be cozy for the baby. It includes a padded headrest for maximum comfort. The headrest is also adjustable and made in such a way that it gently holds the baby’s head in place eliminating the possibility of your baby straining his or her neck. The seat is equipped by a well-padded harness for safety. You will love the fact that the harness is adjustable which means that the baby can grow with this car seat. The last time I checked this UPPAbaby travel system online, it did not have many reviews. This is because most parents usually buy this UPPAbaby stroller and the MESA car seat separately. Nevertheless, there were still some comments, from which I could gather the things that parents like and do not like about this travel system as a whole. The UPPAbaby VISTA is compatible with the MESA car seat. However, if you have or wish to buy a different type of compatible infant car seat, you will need to buy an adapter for it. So have this in mind when considering this travel system. Secondly, you need to consider that this is not a low-price travel system. Nevertheless, it is worth every penny you will spend on it as it will give your baby better coziness and protection. Its seat is well-padded, it has a brilliant suspension system, and has foam-filled tires to provide your baby with superior comfort when strolling in the neighborhood, in the park, or at the mall. These features will also reduce the likelihood of your baby getting spine disorders. It is a premium quality stroller that is well-made utilizing superior quality and durable materials. It will be of service to you for many years. It is a travel system with an all-in-one stroller that you will find very useful and convenient. My review in summary: One of the most stable and lightweight high-end but inexpensive travel systems! This is one of the best baby travel systems in the world! It is easy to lock its infant car seat on the stroller and also to remove it. It is also easy to secure or remove the car seat from the car. The infant car seat has its own special adapters that it comes with. So no need to buy extra adapters when you get this Chicco system. Moreover, securing the seat is a breeze. It will not take you more than 15 seconds. The stroller part of the travel system has got several admirable features. For instance, it has an extendable for better protection. In case, you do not need the canopy, you can remove it altogether. Another admirable feature is the stroller’s adjustable handlebar. It makes it convenient for short parents, average height parents, and tall parents to comfortably push and maneuver this stroller. The single-action brake system on the handlebar makes this one of the safest travel systems as most do not have this feature. Many parents also love the giant basket beneath the main seat. It provides extra space for storing all the things you and your baby need for a pleasant day out or even an overnight trip. One of the best things about the Chicco Bravo stroller is its narrow design. The design ensures that it can pass easily through regular doorways. The main seat on the stroller also deserves a special mention. It can be reclined to a near-flat position and it is generously padded for maximum coziness. In case you feel like it, you can remove it completely to fix the car seat. However, this is usually not necessary as the infant car seat can be securely fixed even with the main seat on. The Chicco Bravo stroller has a four-wheel design. It is this design that makes it more stable than the three-wheel design versions I have covered in this list. One more thing that I must mention about the stroller part of this travel system is its easy to fold design. This makes it easy to store at home as it doesn’t take too much space as a folded unit. It will also make it easy for you to lift it and put it into the trunk of your car. The car seat included in this travel system is as brilliant as the stroller. It has the special KeyFit 30 adapter that makes it easy to secure in the car. It is also built to protect the baby from impact in case of a crash. This is why it is regarded as one of the top car seats in its class. Lastly, it comes with an ergonomically shaped carry handle, which makes it easy to lift from the stroller into the car and vice versa. This travel system is brilliant but its wheels are not pneumatic. What this means is that they are not inflatable and therefore cannot work well on unbeaten paths. It is more of a city travel system than an all-terrain stroller. The travel system includes a brilliant stroller and the iconic KeyFit 30 car seat. It perfect for safe, cozy, and bumpless urban rides. The car seat is lightweight and easy to fix or remove from the stroller or the car. It also has a handle and weighs less than 17 pounds which means it is easy to carry around. It will save you money because it is not only inexpensive but also comes with features such as the parent tray, cup holders, and the car seat adapter that you may have otherwise had to spend money on if you bought another travel system. Ever wondered how a travel system would look and function like if the makers obsessed with every single detail? Well, wonder no more! The Nuna Tavo system is here and I can assure you that it looks just as good as it does in the image above and works even better. Let’s begin with the infant car seat part. The car seat included this system is the Nuna Pipa ultra-lightweight car seat. It is extremely light and easy to carry with or without the baby. The car seat is among the most innovative ones I have ever seen. First of all, its body is made of hard plastic that is collision ready. In other words, in case of an accident, the body can minimize or eliminate the impact on your baby. Secondly, it is more than adequately cushioned to provide your baby with the comfort he or she needs. The form is patented by its manufacturer because it is extremely lightweight but at the same time strong enough to prevent shock from being transferred to your baby during bumpy rides and in case of a crash. Thirdly, the base of the Pipa Lite car seat is specially designed to make it easy to secure on the stroller and in the car. It will take you no more than a couple of seconds to secure it on the stroller or in your car. The stroller is not that bad either. In fact, it is an excellent machine with plenty of features and functions designed to make it pleasant to use. For example, it has got a big extendable canopy that can fully shade the baby and protect him or her from the wind, the rain, and the sun. It also has a sun visor for additional protection. The stroller is also made of soft, breathable, and baby-friendly fabrics. The fabrics will protect your baby’s delicate skin and prevent him or her from overheating even with the canopy is fully extended. The makers of this travel system claim that it is the lightest baby car seat in the world. I agree with this sentiment. I recently carried the Pipa Lite car seat at a friend’s birthday party and it felt very light. This feature becomes more important as time moves on and your baby becomes older and heavier as you will still be able to easily carry the seat since its weight is negligible. The stroller is quite special. I have already mentioned some of its features but not all of them. The main seat is reclinable to create a flat space for your child to nap on while on the go. The seat itself is made of a breathable fabric that wicks away sweat and prevents overheating. So with this travel system, you will definitely be summer-ready. However, on a light note, do not forget to pick some lotion for your skin to prevent sunburns. The travel system is also winter-ready. It has got a seat insert that can provide your baby with warmth and extra comfort during cold winter days. I believe that the most unique thing about this travel system has got to be its navigability. The stroller part of this system is very easy to navigate. And although it does not have bigger and inflatable tires like some other travel systems, its tires are good enough for urban sidewalks and roads. It also handles short grass like a boss. The stroller is also well-balanced and can easily be pushed one-handedly. This makes it very convenient to use. You can also fold it one-handedly. This travel system comes in two versions. One version is more expensive than the other. The one I have described is the cheaper one but it does not have some of the extra features available in the more expensive one including the luxury TENCEL fabric on the infant car seat. Other than the fabric, there really isn’t much of a difference between this travel system and the more expensive one. The main seat on this travel system can recline to the horizontal position. It is, therefore, 100% newborn-ready! No need to buy a bassinet for your days-old baby. It has features that make it summer-ready and winter-ready. 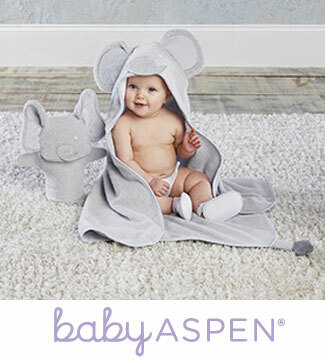 During summer it is designed to prevent overheating, while during winter it is made to keep your baby warm and cozy. It has a tough infant car seat that is designed to protect the baby fully in case of an accident. The car seat also has a harness to secure your baby in case of instant acceleration or emergency braking. Many a travel system have been made over the recent years but none has come close to matching the simplicity and maneuverability of this Britax Elite Travel System. Two things make this travel system easy to maneuver, its lightweight construction and its three-wheel design with a dual front wheel. It is truly easier and better to steer than most of the other top travel systems for 2019 I have described in this list. You can even confidently steer it with one hand and use the other hand for chatting or talking on the phone. Always busy with very little time to spare? If this describes you then this Britax travel system is exactly what you need. This is because it can be assembled quickly and similarly folded quickly if need be. When folded, it becomes small and it easily fits in most car trunks. Considering the fact that it is chiefly made of aluminum, it is super light and easy to carry around. I do not know about you but I always like to get prepared for day trips. I carry everything I think the baby will need. I have seen the size of the basket underneath the main seat of this stroller and I believe that it would be sufficient for carrying all the stuff I would want to carry for a day trip. The main seat on this Britax stroller can be reclined. It can be reclined significantly until it gets to a near-horizontal position. Therefore, if your baby needs to catch some Z’s during your day trip, you can recline this seat to make it bed-like and comfortable for them to sleep on. The seat is summer-ready and doesn’t get overheated thanks to the strategically located mesh window next to it. The giant canopy overhead the seat and its special UPF 50+ protection rating will provide your baby with protection against both visible and invisible sun rays. Up to now, I have only covered the B-Agile part of this Britax Travel system. The other part of the travel system, the B-free infant car seat, is as good as the stroller part. The Britax B-free infant car seat is constructed to offer your baby maximum protection against crashes when you are driving, traveling, or strolling. It does this through maximum shock and energy absorption in case of a crash or collision. The B-free car seat is shaped like a shell. It is deep but its sides and headrests are more than generously cushioned to make it cozy enough newborn babies. The headrest can be adjusted to provide more protection and comfort for your baby. Similarly, the harness can also be adjusted to protect your baby better or simply to make it more comfortable. The Britax travel system as a whole comes in five different color versions. Each color version is available at a different price. I usually check the comments and ratings of products before I buy them online. When I checked out this travel system on Amazon, I found out that it was highly rated. Below are its pros and cons. The car seat in this travel system weighs 11.5 pounds. Most parents, especially moms, will find this weight to be a bit on the heavy side. Nevertheless, there is an alternative compatible seat known as the B-safe seat that is slightly different and cheaper than the one included in this travel system. Because it is one of the most nimble travel systems. It is extremely fun to push and navigate. Because is an extremely affordable travel system that provides so much value for money. And it comes with a brilliant car seat for a price that many people would think is only enough for a decent stroller. Because it has a very safe infant car seat. The seat is collision-ready with the right body, the perfect harness, and cushioned backrest, head support, and side support to protect your baby. My opinion in summary: Stylish, cozy, and superior quality travel system! You have probably never heard of this Chicco model before but I can tell you for sure that it is worth knowing everything about. The model is newish in the market but it is definitely amazing. It could not be on my list if it wasn’t. LOL! This amazing Chicco model is cheaper than the one I discussed earlier, the Chicco Bravo Trio. It also has different features compared to the earlier discussed model. Like many travel systems, the Chicco Viaro travel system has a three-wheel design. However, unlike many travel systems, the front wheel of its three-wheel design is a dual wheel. This means that this travel system is nimbler than four-wheeled systems and more stable than standard three-wheeled ones. The wheels are standard sized but can breezily handle even gravel, wooded trails, and medium grass. And you can confidently stroll on such terrains because the stroller’s suspension system works like a charm; meaning such rides will not be uncomfortable for your baby. The stroller has an enormous storage basket underneath the permanent seat. The basket can be accessed from the front and from the back. This makes this stroller more convenient than those whose storage areas can only be accessed from the back. Besides the storage basket, the Chicco Vairo travel system comes other accessories including a child tray and a parent tray. Both trays have got two beverage holders. These accessories are definitely a big plus! Just like the Chicco Bravo Trio system I talked about earlier, the Chicco Vairo is also compatible with the KeyFit 30 infant car seat. I have used the seat before and it is as great! My young son loved it so much that he cried when he outgrew it and we had to store it away. The seat has this nice adjustable harness that you can tighten or loosen to make it safer or more comfortable for your little one. It also has got this fantastic overall design that creates this cushioned and protective pod-like space that always gave me peace of mind when driving. I am sure it will give you the same feeling when you put your baby in it and secure it in your car. It is easy to secure in the car. It is also easy to snap onto the stroller. I also loved how compact and light it was. It made it very easy for me to go places with the complete travel system. This travel system is primarily built for urban strolling. It does not have the wheels for true off-road/ unbeaten path strolling or jogging. Secondly, this travel system’s stroller does have a canopy but the canopy does not have a see-through window. This makes real-time monitoring of the baby difficult. Because it comes with an enormous storage basket, in which you can carry everything you need. You can even carry shopping bags in it when you go shopping. The storage basket is also very accessible; it can be accessed from the front and from the back. It comes with KeyFit 30, which is, hands down, one of the best infant car seats available online, right now! It is stylish, cozy, and extremely safe. It is very convenient to use, it moves like a breeze, and it folds very easily and quickly. Most of the times, when there is a baby coming, parents often have to balance their budgets carefully to ensure that they can get all the essentials they need to care for their offspring. If you are in such a situation, then I have got just the right information for you. Below are the cheapest travel systems for the year. Finding anything that is cheap but high-quality is often a difficult exercise. This is true even for travel systems. However, I was able to work hard to find the best low-priced travel systems for you guys. Read on and you will thank me later. Some of them have the same features, accessories, and quality as high-end systems. They are definitely a bargain! This chic stroller looks even better than in the photo above when it is right in front of you. The first time I saw it, I thought it was a new UPPAbaby stroller! For those who do not know, UPPAbaby is the iPhone of strollers. It is one of the most sought after brands on the stroller market! However, although UPPAbaby strollers are highly sought after, the dominance of the brand may soon be challenged with Evenflo making travel systems like this. The Evenflo Pivot travel system is as brilliant as its name sounds. It is packed with many features and accessories that many parents would normally only expect from high-end brands. Moreover, in addition to its high-end features and accessories, it is three times cheaper than UPPAbaby and other similar premium brands. The most important part of the Evenflo Pivot travel system is the Evenflo SafeMax baby car seat. The car seat has been tested extensively and proven to be safe. It is perfect for babies weighing between four and thirty-five pounds. When your baby outgrows the infant seat, he or she can start using the main seat on the stroller. The main seat has a maximum weight limit of fifty pounds. It can also be reversed to make it easier to monitor the baby. What I love the most about the stroller are its tires. The stroller is fitted with “Cruiser” tires. They are big enough and shock-resistant for a smooth ride. These special tires also make it easier to maneuver the stroller. They are definitely among the best tires you will ever see or find on a stroller. The canopy on this stroller is superb. It is well-designed and it provides a very nice shade. It is also big enough to ensure your child is well protected against strong winds. However, it is not oversized and, therefore, low sun might be a problem for your baby. This travel system is great for traveling. I regularly travel across the city to visit my parents with it. My experience is usually very pleasant because it is easy to fold, easy to lift into the car trunk, easy to secure its car seat in the car, and easy to reassemble it when I get to my parents’ home. The stroller also has a very generous storage bag on it. You can fit all your baby gear in it for a long trip. It also comes with a beverage holder for the pusher. This means you won’t have to buy one if you need one. The best thing about this stroller is its price. It is worth no more than three hundred bucks! This is despite all its exciting features and functions and the fact that it can be used for about three years from birth. It is definitely good value for money. As usual, I looked up this stroller on Amazon to get the opinions of parents who have bought and used this travel system. What I found is that it is very popular especially amongst moms. Here are the main pros and cons I gathered from the Amazon reviews. The Evenflo Pilot travel system is somewhat wide and may therefore not fit through slim doorways. It is very cheap relative to its high-end features, durability, and stylish design. It is definitely a money-saver! It is very chic and very stylish. It also comes in exciting color versions. Every other mom in your neighborhood will be jealous of your stroller! It is supplied with a super-cozy and protective infant car seat. The seat will not only protect your baby from bumps but also protect him or her from collisions by minimizing the impact as much as possible. My review in summary: cheap and easy to push jogger travel system. This is one of the most popular travel systems in 2019. It is among Graco’s bestselling products. The most fascinating thing about this travel system is its wheel design. The wheels are big and inflatable. This means it can literally handle any terrain. It can easily handle gravel, unbeaten paths, wooded trails, cracked pavements, tall grass, and so on. The big inflated wheels also make it very easy to push. You simply only need minimal force to get it moving. Moreover, let’s not forget what the big wheels are for: jogging. You can quickly get back to maintaining a healthy lifestyle with this travel system by using it as a jogger. However, remember to only use it for light jogging when your baby is still an infant. You do not want to scare him or her with speed. Another fascinating thing about this Graco system is its fabulous car seat. The seat may not be made of premium fabrics but it is sufficiently padded for protection. It is also extremely easy to connect and secure in the car and on the stroller. The seat can safely accommodate and protect an infant between four and thirty-five pounds. So you can use it to carry your infant baby for a couple of months until he or she is old enough to use the stroller’s main seat. The main seat is also sufficiently padded. However, it is irremovable and therefore the stroller becomes bulky when the infant seat is attached on the stroller. Nevertheless, the bulkiness does not severely affect its maneuverability. This travel system is the perfect option for moms and dads who are looking for a versatile stroller and infant car seat combo that they can use as a daily stroller from day one and can occasionally go jogging with. Unfortunately, this Graco travel system is not without a flaw. The flaw is in its stroller part; the stroller’s canopy is not big enough. So it does not provide a full shade. In other words, your son or daughter may be affected by low sun rays when you go jogging in the evening. The canopy may not be big enough but it has a side mesh that ensures maximum air flow. I love this feature since it prevents the baby from overheating. This stroller can be folded easily. However, although it obviously becomes compact and smaller when folded, it does not become compact enough to fit in small car trunks. Nevertheless, its wheels can be removed to make it fit into such car trunks. For me, the greater weight and bulkiness is the price parents have to pay for its solid and durable construction and its high weight capacity. The Graco FastAction Jogger Travel System is equipped with two trays; one for the driver and the other for the passenger. You can have snacks and toys for your baby on his or her tray, and have an energy bar or two on your tray. If you have bigger things to carry for you and the baby, there is a spacious storage basket underneath the seat for that. This jogger travel system is safer courtesy of the reflectors on its rims and its child tray that increases its visibility in low light. It is definitely not a bad machine for the price! Many reviewers on this equipment’s Amazon page have only positive things to say about it. There were very few negative comments. Check out what the reviewers pointed out as the pros and cons of the system. This stroller has a smallish canopy. Therefore, if you live in a place where you know your baby will need plenty of shade when strolling outside, you should certainly not consider this travel system. Moreover, although this is a jogging stroller, you should never go jogging with it with your infant baby. It is unsafe. You should only go light jogging with it when your baby is old enough to sit on the toddler seat and can support his or her own neck. It is a safe jogger travel system. Its seat is safe and cushioned, it has a seat harness, it comes with a safety leash, and it is fitted with reflectors to make you and your baby more visible even in low light. It is one of the cheapest jogging travel systems available on the market! Perfect for joggers on a tight budget. It is a quality and durable travel system. The Sibby Evenflo travel system is a premium quality stroller/ infant car seat combination that is sold at a relatively cheap price. The travel system includes two main components; the multifunctional Evenflo Sibby stroller and the LiteMax ultra-lightweight infant car seat. The components are sturdy enough and have maximum limits of 50 pounds and 35 pounds respectively. Considering how cheap this travel system is on popular online platforms, you may not be expecting so much from it in terms of features and quality. However, it is a pretty decent travel system! For example, its LiteMax newborn car seat is pretty cozy. It is properly padded on all sides to provide your baby with maximum protection. The base of it is made of hard and quality plastic that is crash-resistant and will protect your baby in case of a crash. This car seat comes with its own little canopy. The canopy ensures your little one is sheltered even when not on the actual stroller. Let me now focus a bit on the stroller component of this travel system. To me, the stroller is usually the most important part of any travel system. This one is pretty good and pretty cheap. It has a fancy and eye-catching all-grey design. The design is complemented by its high-functionality. The stroller’s seat, for instance, is reclinable. It can be reclined to the horizontal position to make it bed-like and comfortable for sleeping. Unlike most strollers out there, this one has a footrest. As if that is not enough, the footrest is not an average footrest; it is an adjustable one. You can adjust it to various positions to make it more comfortable for your toddler. This is definitely a plus! In addition to the footrest, this stroller comes with a standing board where an older sibling can climb onboard and enjoy the ride. This is definitely something you do not see on many strollers. In fact, I think this is the first stroller that I know of with this particular feature. I told you this stroller is good! The Evenflo Sibby Travel System stroller also comes with a three-panel cover to protect your little one. Although stylish, the cover is not as big as you would expect. Nevertheless, it comes with a see-through window for closely monitoring the baby. This window was not present in the Evenflo model that came before this one. This stroller has a special four-wheel design. The back wheels are bigger than the front wheels. They are also singular, unlike the front ones that are dual. This design was meant to achieve superior balance and stability and this is exactly what you will get when pushing and navigating this stroller. However, although the stroller is stable, it is only perfect for urban surfaces such as mall floors, sidewalks, pavements, and well-cut lawns. It does not do well on uneven terrains. One more thing that I think is so special about this stroller is its weight. It is one of the lightest stroller’s out there. It weighs just 13 pounds. This lightness combined with how easy it folds makes it easy to put in the car trunk even for petite moms. Below are the general thoughts and opinions about this product from verified purchasers on Amazon. First of all, the stroller is a city stroller. It is not perfect for off-road strolling. Get a jogger travel system if you want to go off-road strolling. Secondly, the ride-on platform is not suitable or safe for heavy kids to ride on since the weight can force the stroller to tip over. It is very light. Both the stroller and the car seat are extremely light. The lightness makes it easy to use this system. Because it has a ride-on board for your older child and an adjustable footrest for your baby. It is a very fun travel system. Because it is inexpensive. It is one of 2019’s cheapest travel systems. My review in summary: A brilliant, versatile, and very affordable travel system. If you love jogging, you will love this travel system even more. This is because it is fitted with big and inflatable tires that make it perfect for jogging. It also has got strategically placed reflectors to increase its visibility in the dark, making it a safer jogger than those without reflectors. However, keep in mind that it is not safe to jog with an infant. You will need to wait for your baby to grow to toddlerhood to be able to jog with him or her. This BabyTrend jogging travel system has got several enviable features and functions. They include a parent tray with a beverage holder, a spacious storage bag underneath the main seat, a lockable front wheel for more stability, and an impressive extendable canopy cover. I am in awe of how breezily this stroller moves. You need very little effort to get it moving especially on flat ground. Its big pneumatic wheels also ensure that it can move easily even on uneven terrain. Now let me tell you a bit about this system’s infant car seat. First of all, it is officially known as Flex Lock 30. Secondly, it is a wonderful seat with a special high-density foam padding that provides superior shock absorption and protection for the baby. Thirdly, the infant car seat has got a big handle that makes it convenient to transport between home, stroller, and car. Lastly, the seat can easily be secured on to the stroller within a few moments. Here is what those who have purchased this travel system on Amazon think about it. The BabyTrend Expedition travel system can only be used for jogging when it is carrying a toddler and not with a newborn baby. It is dangerous to jog with an infant on board. Furthermore, since its tires are pneumatic, you will need to be ready to inflate them every now and then or the stroller won’t move. It is a travel system and a jogging stroller. In other words, you can use it to carry your newborn baby and to later jog with him when he gets older. It is a top-quality travel system that is built to last for ages. For less than three hundred bucks, it is definitely a steal. Because it has got large, air-filled wheels that can pretty much handle any kind of terrain. This loveable travel system comes with the brilliant KeyFit 30 car seat from Chicco that I have talked about severally in this post. It is a great infant car seat that super-reliable. It is easy to secure on the stroller. The main seat on the Cortina CX stroller can be reclined. It can be reclined to eight different positions including the horizontal bed-like position for your baby’s sleeping comfort. What is even more amazing about its reclining capability is the fact that it can “remember” the position it was reclined to before being folded. You will not need to recline the backrest again to the position most comfortable for your baby when you unfold it as it will automatically remember. This Chicco Cortina CX model also comes with another enviable feature in the form of its extendable handlebar. The handlebar can be extended to three different positions for tall and short moms and dads. Lastly, this stroller comes with a big storage basket beneath the main seat. Below is what people who have bought this travel system on Amazon think about it. Attaching the infant seat to the stroller takes some getting used to so you will need to be patient. The stroller remains a bit bulky even when folded. It has quite a number of accessories that you would perhaps have to buy separately if you bought another travel system. It is a premium quality stroller with an award-winning infant seat that will provide your baby with superior protection. It is a great investment that will carry your baby from the infant stage into late toddlerhood. Unfortunately, there are no quality travel systems under $100. This is the situation right now. Nevertheless, if I stumble upon a good one, I will immediately add it to this section of the post. If you’ve only got $100, you should probably get something else like a baby carrier to use for the time being. You can use a travel system to carry your baby from birth until late toddlerhood. You can use the infant car seat to carry your newborn baby in the car. A good infant car seat will protect your baby in case of emergency braking or a crash. Travel systems are usually cheaper than buying a stroller and an infant car seat separately. Travel systems are compatible. No need to search online to confirm if an infant car seat you want to buy is compatible with a stroller you also want to buy. Many modern travel systems have strollers that can also later be used as joggers when the baby grows older because of their big inflatable tires. Travel systems often have got huge storage bags for carrying everything you need. This is perhaps the most important thing to look at because it is the part of the system which will carry your child. Some of the things you will need to examine when assessing the quality of a travel system’s car seat are its harness, its base, its handle, its weight, how padded it is, and how easy it can be secured. The best infant car seats have got padded harnesses for safety comfort, can be easily secured/ locked, are lightweight, are generously padded to prevent your baby from moving side to side, and have got a hard base for collision impact energy absorption. In short, they provide your baby with protection and comfort. The toddler seat is the part of the travel system that will carry your child when he or she gets older. The best toddler seat has got straps to secure your baby, is well-padded for comfort, can be reclined to the horizontal position to create a “bed” for your baby to sleep on, comes with a footrest, and is often covered with an extendable canopy to provide your kid with full cover. Considering these details will help you to choose the travel system with the best seat for your baby. If you want a stroller for urban use, stroller with small rubber tires can perfectly do the job and they are normally cheaper. However, if you want strollers that can handle all kinds of terrains including pavements, tall grass, sand, snow, gravel, unbeaten roads, and so on, you need to go for a stroller with big, inflatable tires. Moreover, you need to confirm that the stroller has a suspension system to absorb shock and to prevent your baby from wobbling too much. The best travel systems are those with lightweight but very strong and stable frames. This is because they can not only be easily lifted into car trunks by anyone but also last longer than other travel systems guaranteeing you value for money. Is it worthwhile to buy a travel system? Absolutely! These are the most popular class of strollers right now because they can be used from birth straight to late toddlerhood. The infant car seats they come with are also the legal way of carrying newborns in vehicles. This is because the seats offer maximum protection. Their strollers are often normal strollers but only that they are compatible with one or many newborn car seats. You can stroll your newborn baby on the stroller if you put them in the newborn/infant car seat. When your newborn baby becomes old enough, you can strap them comfortably to the main seat and go with them wherever you want without straining your arms by carrying them throughout the roundtrip. Some strollers are joggers. In other words, they can be used to go jogging with the baby. This means you can use them to shed baby weight or to simply maintain a healthy lifestyle. As you can see, it is completely worthwhile to buy a travel system. If you have any question about travel systems ask me using the official contact methods and I will try my best to get back to you as soon as possible.